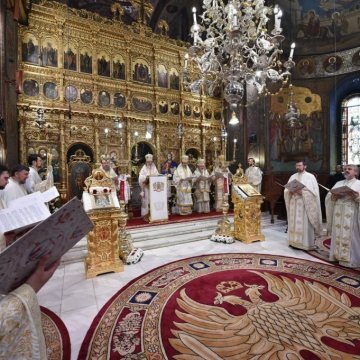 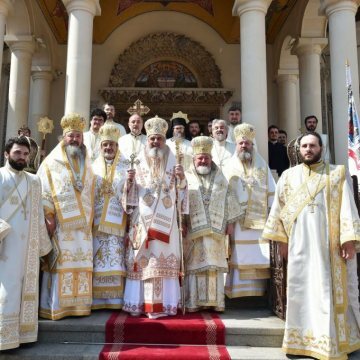 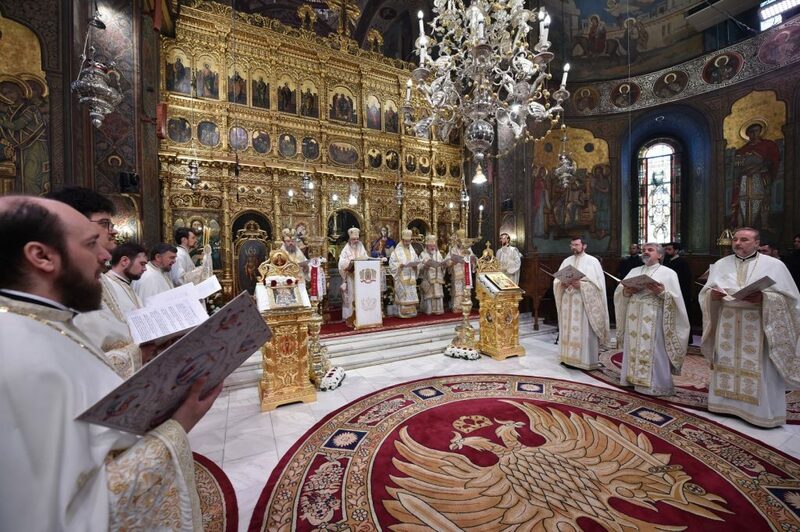 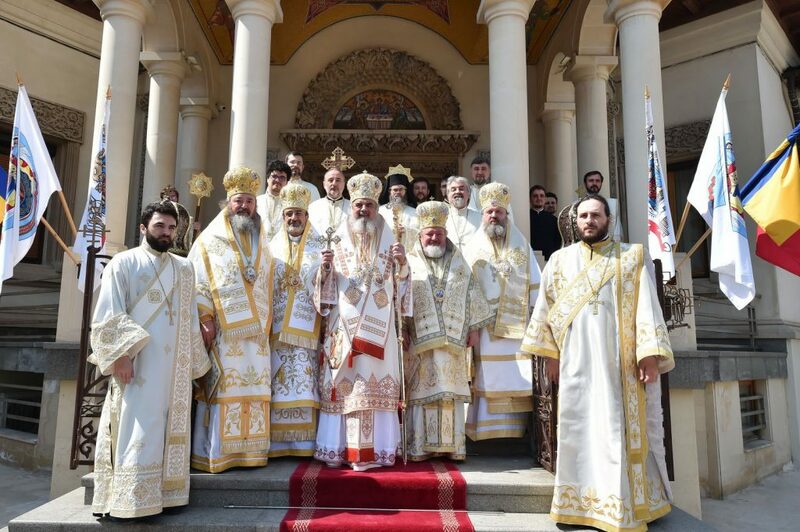 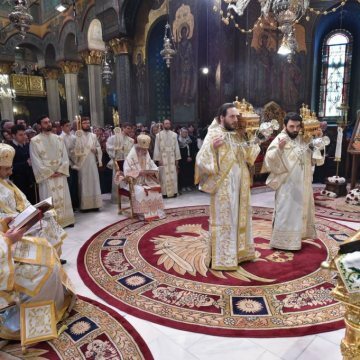 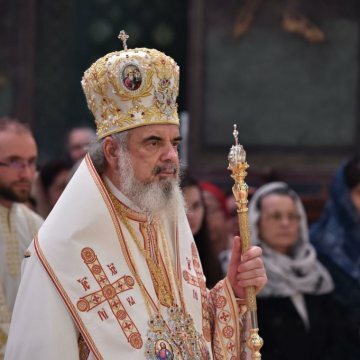 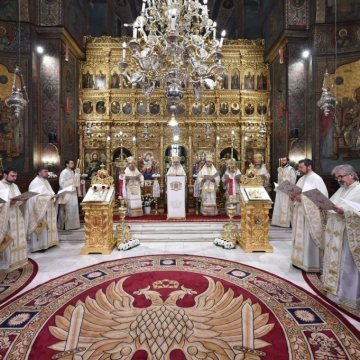 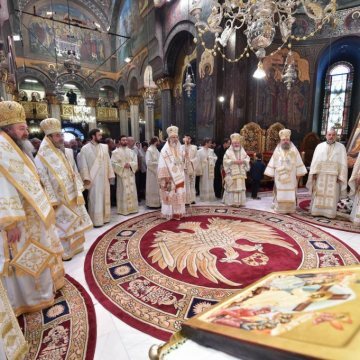 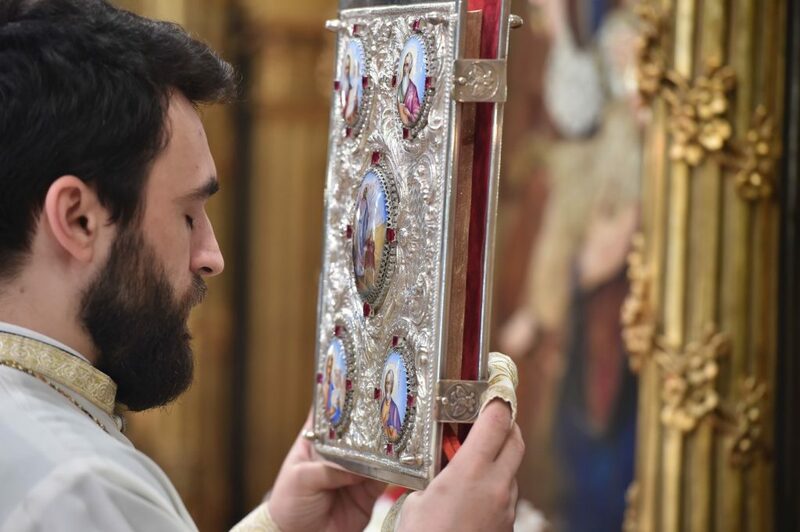 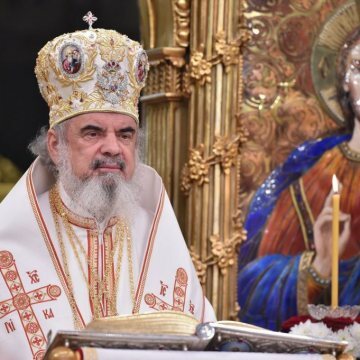 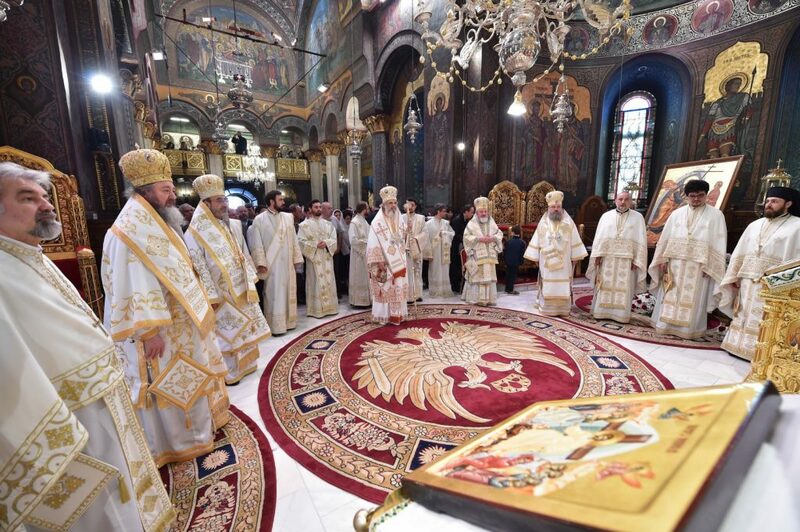 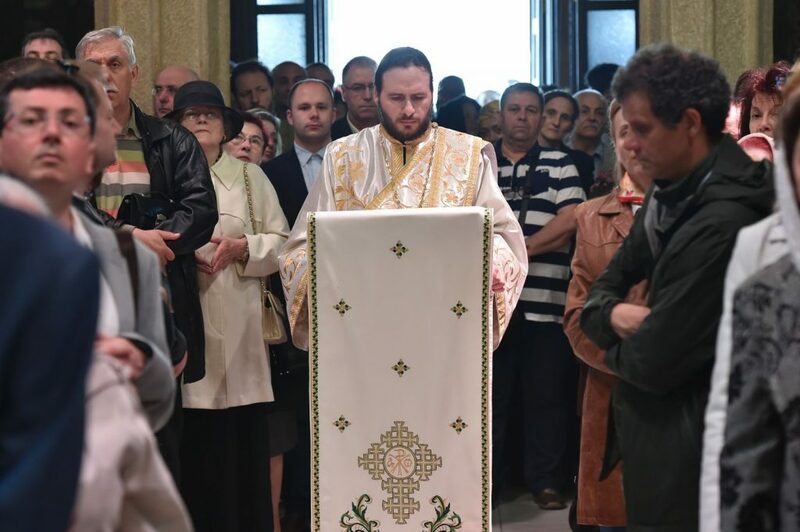 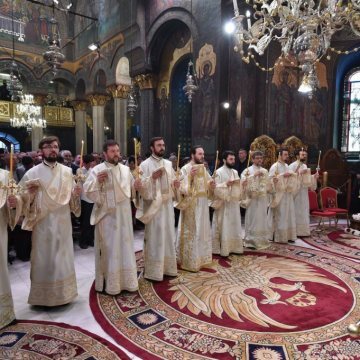 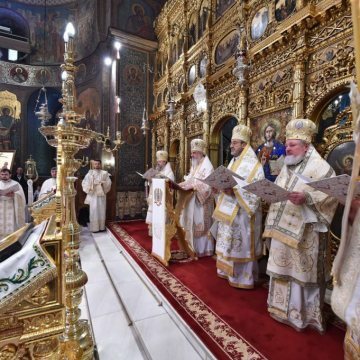 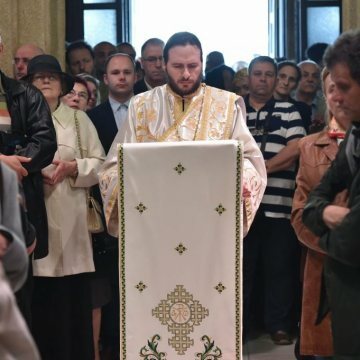 On Pascha Sunday His Beatitude Patriarch Daniel officiated the Agape Vespers at the Patriarchal Cathedral in Bucharest, during which he offered his reflections on joy and peace as two great blessings of the risen Christ. 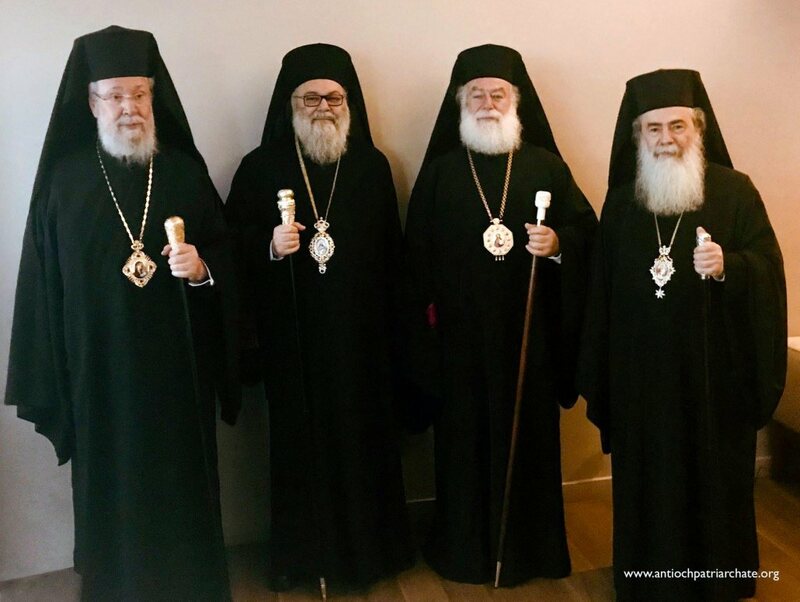 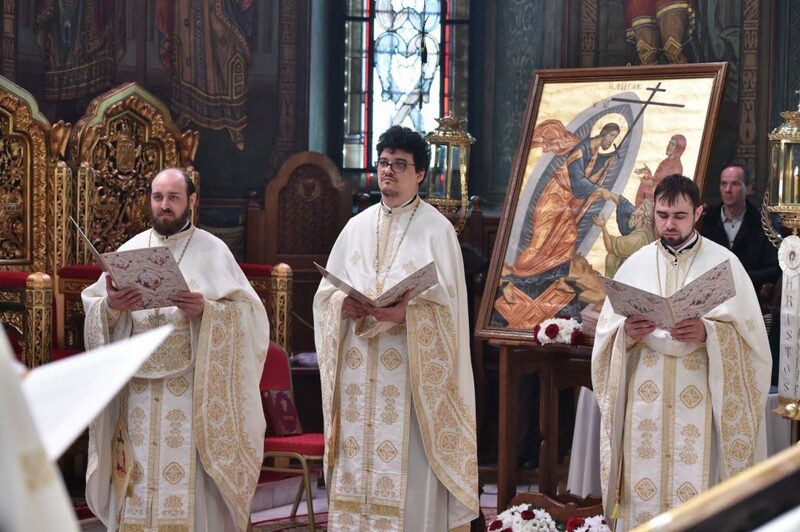 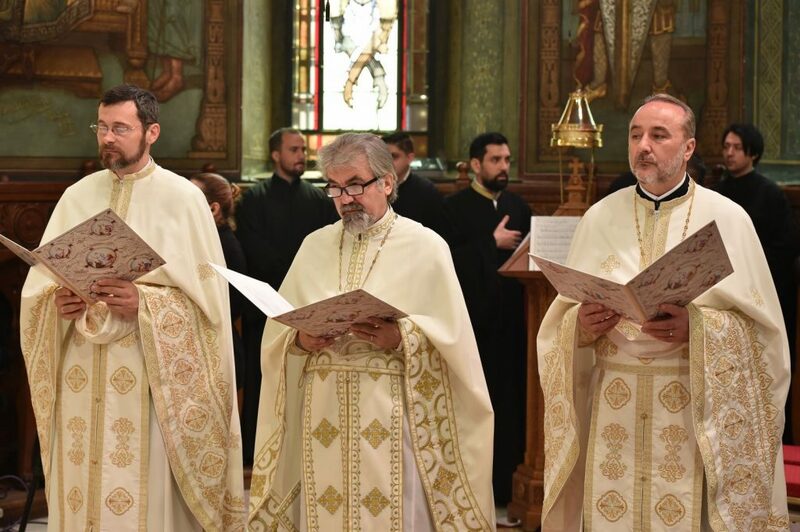 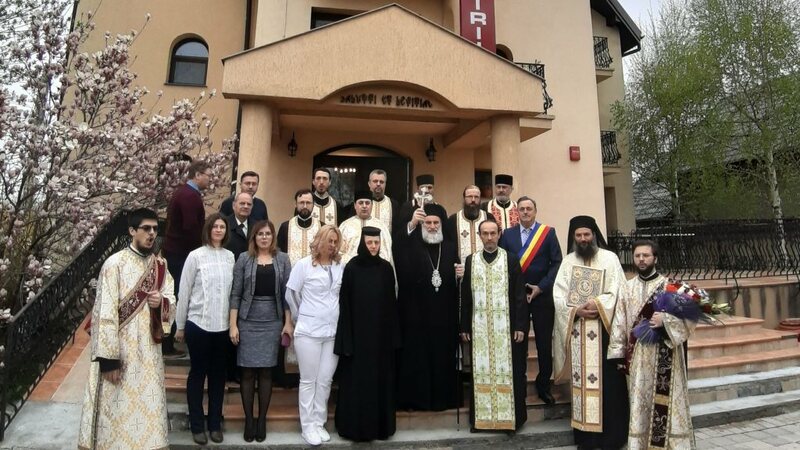 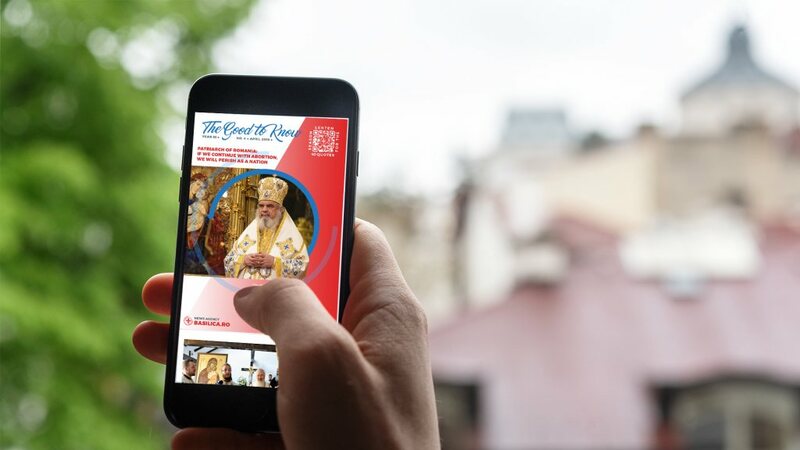 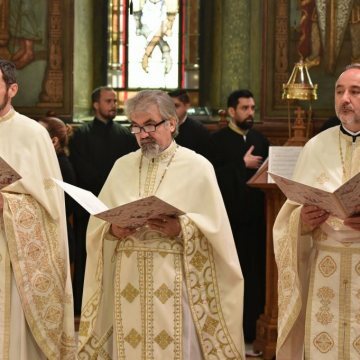 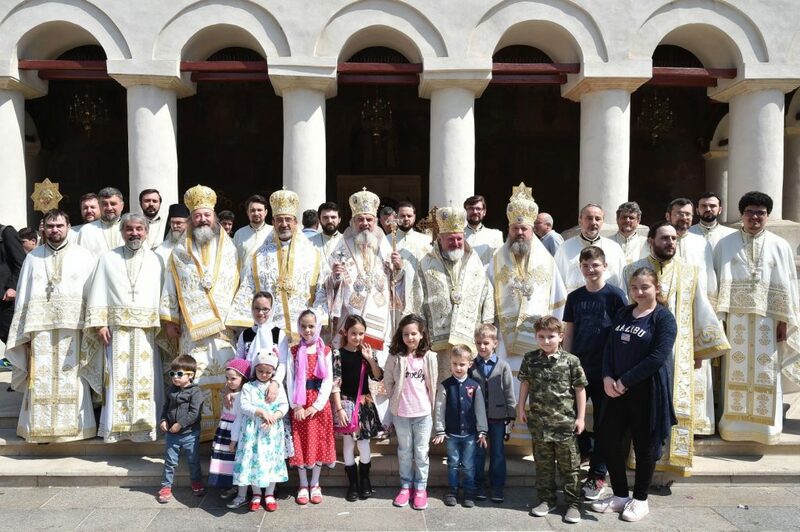 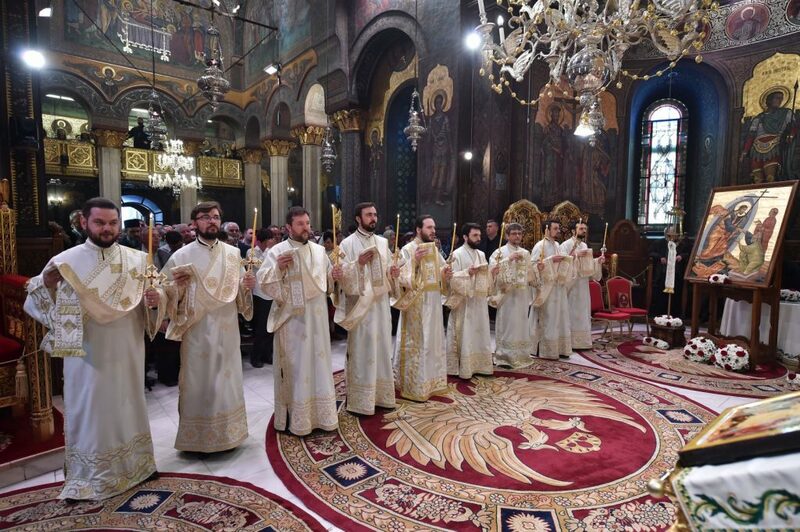 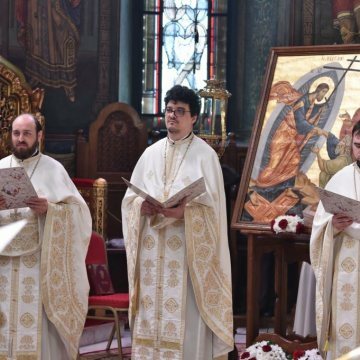 Concelebrants for the Agape Vespers included Bishop Qais of Erzurum (Antioch Patriarchate), the Patriarch’s auxiliary bishops Varlaam of Ploiesti and Ieronim of Sinaia, and the assistant bishop to the Archdiocese of Bucharest, Timotei of Prahova. 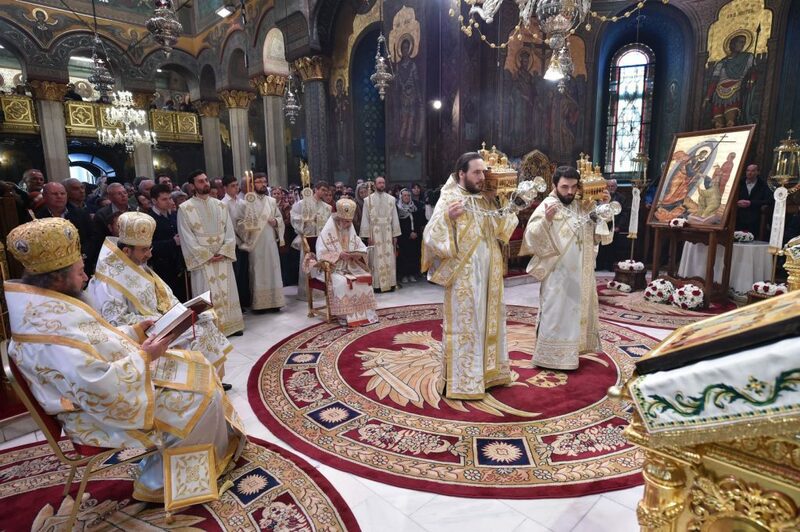 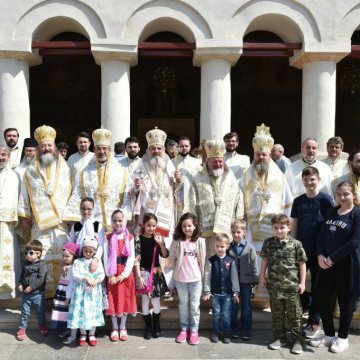 ‘These two states show us that Christ’s resurrection enlightens, enriches, gives meaning and fullness to the human soul and earthly life,’ the patriarch stressed April 8. 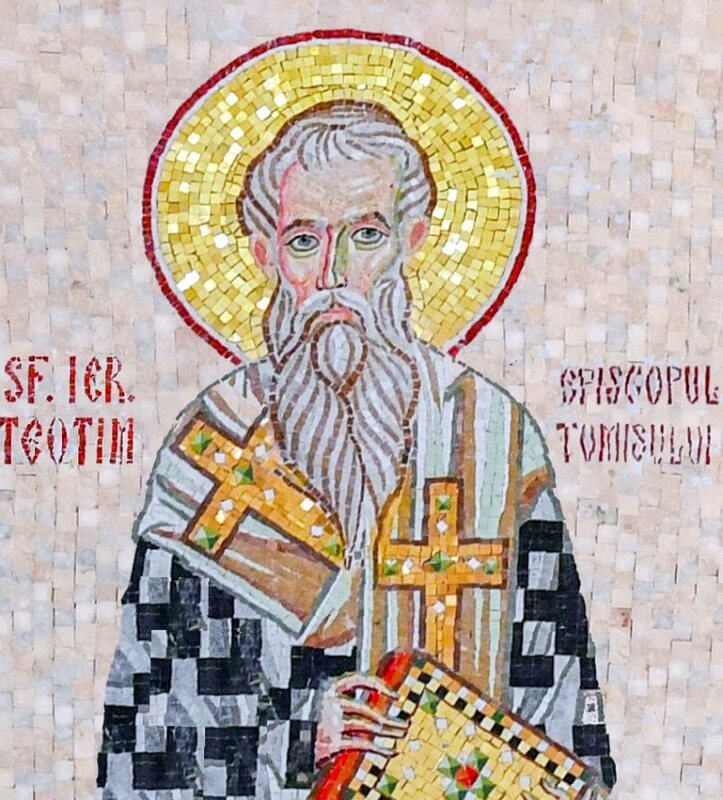 His Beatitude explained the two spiritual states, reflecting on their etymology. 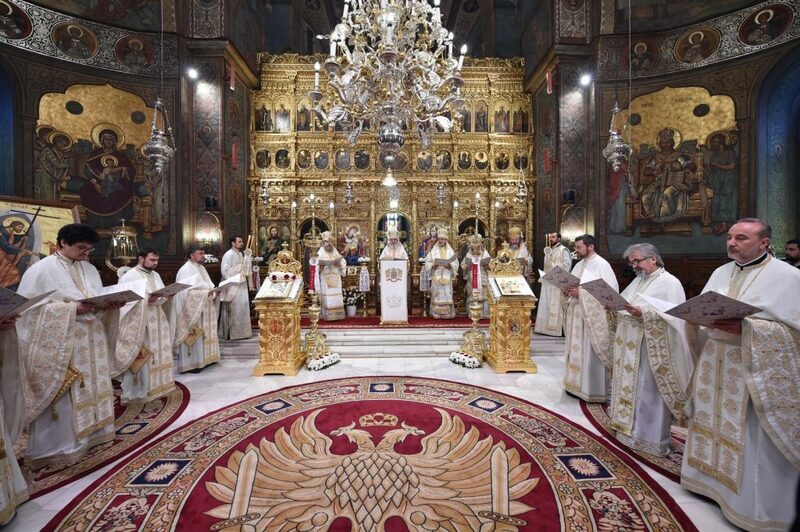 ‘The peace that Christ offers – shalom in Hebrew – means fullness of life, harmony, fulfillment,’ the Patriarch added. 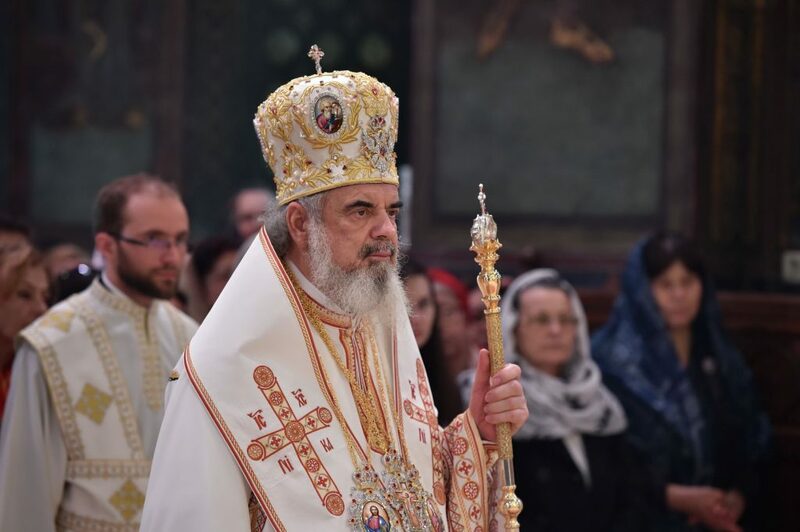 ‘When Christ is present and meets with us as a response to our faith and love for Him, He gives us joy and peace,’ Patriarch Daniel noted. 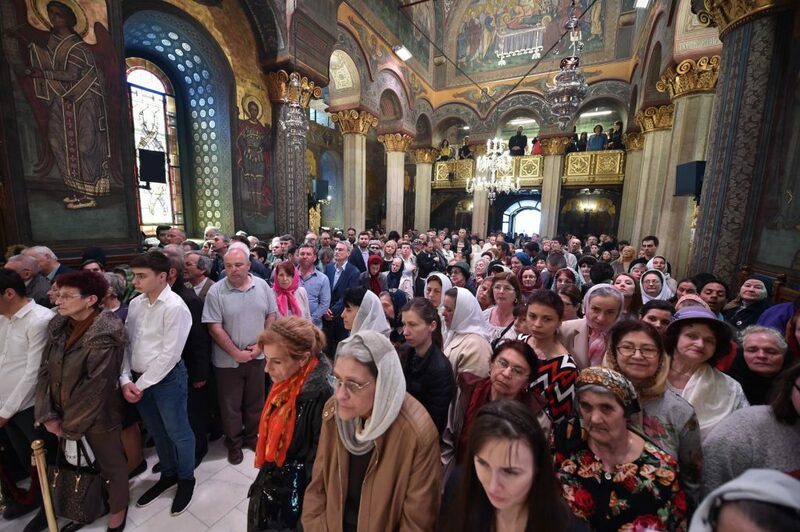 God’s response to our faith and love for Him ‘did not happen only once, but it is present constantly in Christ’s Church,’ the patriarch said. 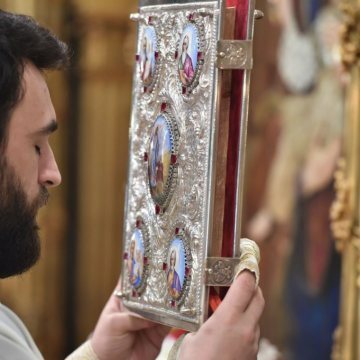 That is why, after attending long services, after much prayer and spiritual struggle, the believers never return to their houses with an empty soul, His Beatitude explained. 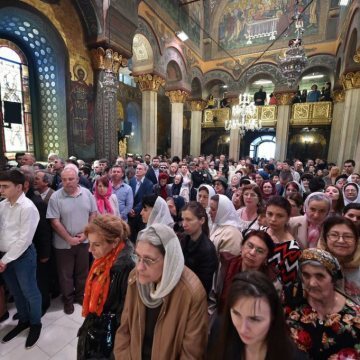 When the divine services are physically tiring, ‘the believers receive a profound peace and a great joy in their souls,’ he said. 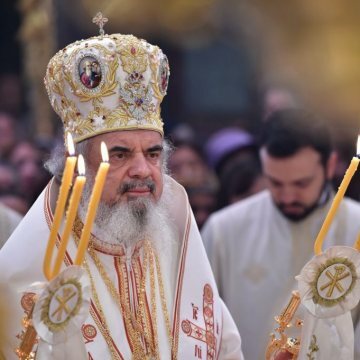 In the second part of his sermon, the patriarch reflected on the miracle of Christ’s entering the room where the disciples were gathered through closed doors. 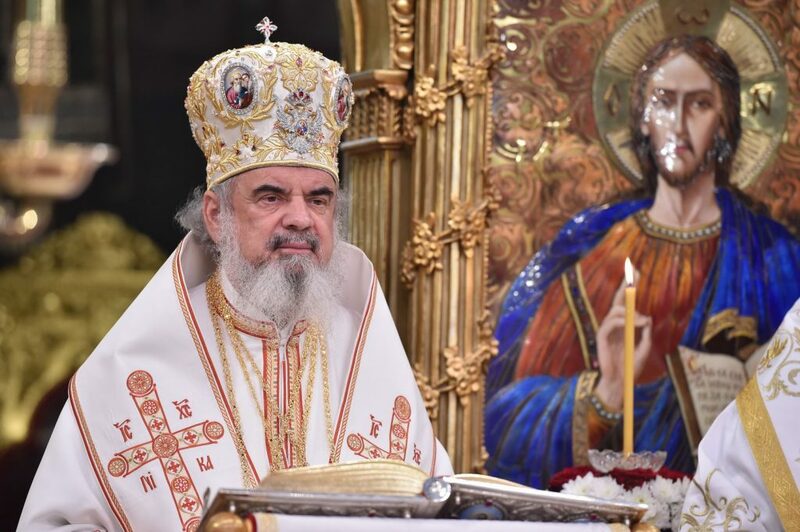 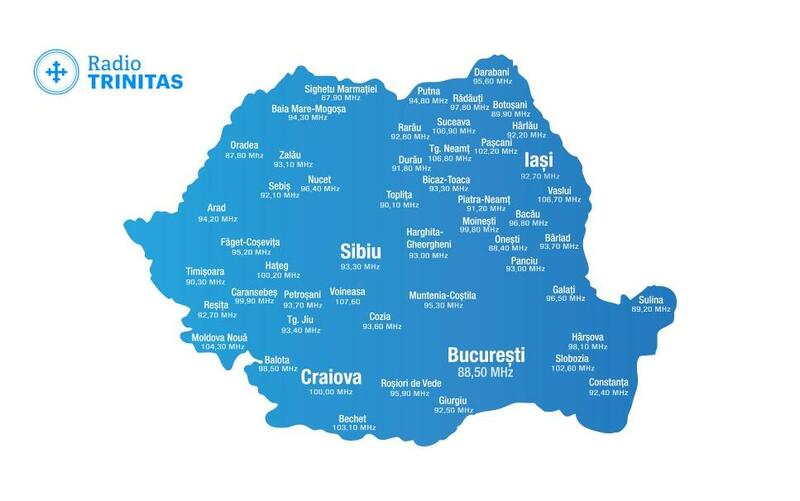 The Patriarch of Romania noted that this is ‘man’s freedom in the Kingdom of God, which was opened by Jesus Christ through his raising from the dead,’ and that matter, time, space, and distances can no longer have any constraints on man. 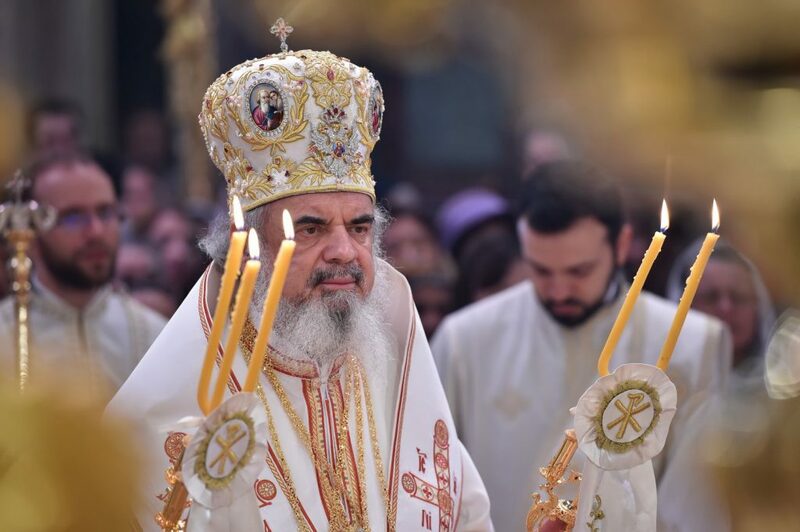 Although this mystery takes place, the patriarch said, Christ’s body never loses its physical identity. 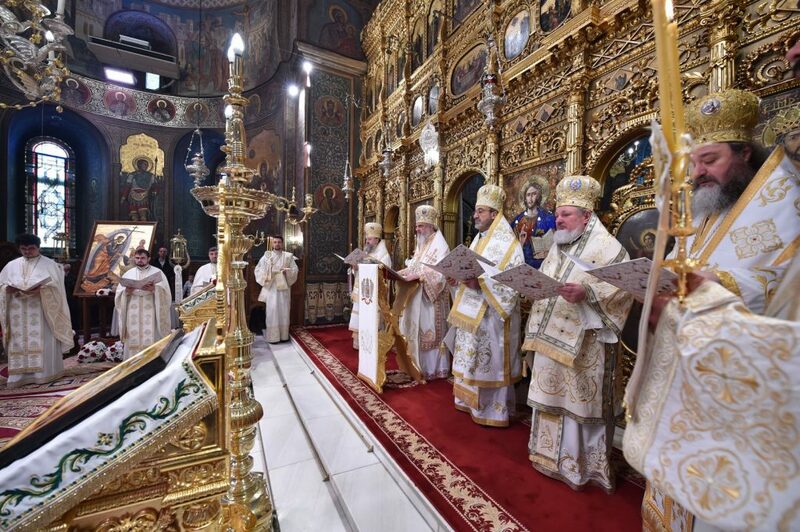 At the end of his speech, the patriarch explained why the gospel passage was read in twelve different languages saying that it reflects the universality of Christian faith, which was preached by the Apostles to all the Gentiles.